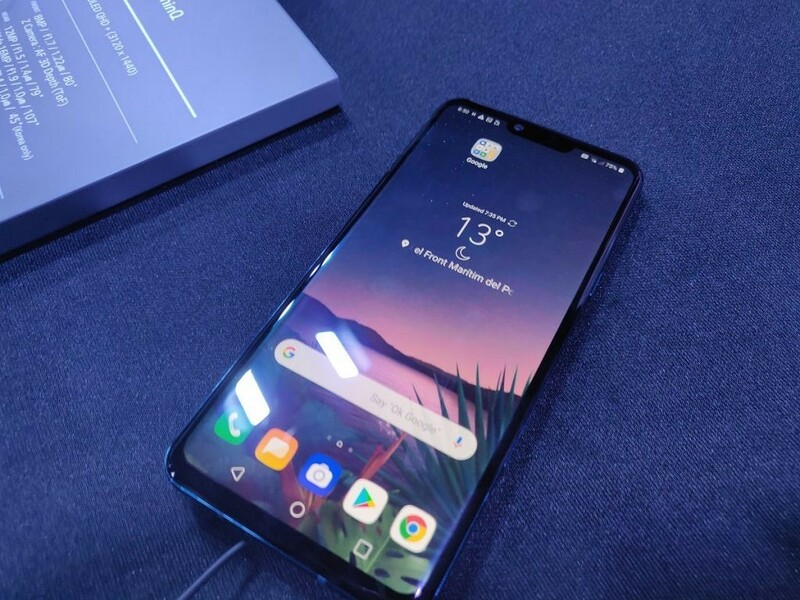 Despite the LG V50 being the flagship device that the company focused primarily on this year, the LG G8 ThinQ certainly won over the hearts of many. Amongst useful features of 3D face unlock and crystal sound OLED were some strange features as well. Vein recognition for secure unlocking and touchless gestures to control your device using a 3D time of flight camera are arguably gimmicks depending on your viewpoint, but some may find a use for those features. I had some time to play with the LG G8 and get a demonstration of these features in action. The biggest thing that makes the LG G8 ThinQ special is the 3D time of flight camera, though the gesture that use it aren’t all that great or useful. The device I got to use was running prototype software, with the only gestures available currently being to open Google Maps, your SMS app, and to pause or play music. You can also control the volume of the audio that’s playing with gestures, but again, it’s not all that useful. I was told that the feature is incredibly useful for driving, as you don’t need to actually touch your phone to operate it. I don’t necessarily agree that it’s any safer for a lot of things, but I get the idea that you can quickly pause or play music, control the volume, or open Google Maps without looking at your smartphone while your hands are on the wheel. As for any other situation, I just don’t see the appeal. If my phone is on the desk beside me, I’m more inclined to just… use it, rather than play around with gestures that were difficult to use. While it seems effortless in the video above, it was very hard to actually get it working in practice. There’s a perfect height that you need to have your hand at, and while I got it working twice, it was something that needed a lot of playing around with. I noticed that while the areas around the LG V50 smartphones cleared off relatively quickly, a huge amount of people were still trying to perfect the gestures on the LG G8. I saw other people finding it as difficult as I did. Now, some of these difficulties can and probably should be put down to pre-release software, which I was told these devices have. The fact that LG has shown us this device in its current state means that they are currently happy with where it stands, but I was personally unimpressed. To get the camera’s attention, you first have to wave at your phone. It’s bizarre, but it gets better. Next, you have to make a claw grip motion above the camera sensor until it picks up your hand. Then you can swipe left or right to launch an app or hold it to access another gesture. Currently, that gesture only allows you to change the volume. Gestures aside, LG’s hand unlock works pretty well, but it takes getting used to. You again have to wave at your phone (I can’t get over that) and then hold your palm outstretched above the camera. It’s hard to get right on the first try, but you get used to it quickly. I can’t find myself using it over the fingerprint sensor on the back. LG claims that your vein structure is more unique than a fingerprint, but the convenience of the fingerprint scanner more than makes up for the (relatively) minuscule improvement in security. Overall, the LG G8’s gestures can be summed up in one word: weird. I don’t necessarily see a use-case for them in mobile phones, but I see where the company is going with this. Such gestures would be suited very well to TVs, which LG makes a lot of. Like I mentioned as well, a potential use-case mentioned for these gestures was in a car, but the amount of time you’ll spend trying to line-up your hand, get the gesture just right, and focus on the road, you’d have just been better off pulling over and using your phone normally. Crazy gestures and biometrics aside, the LG G8 ThinQ is actually a very decent phone. 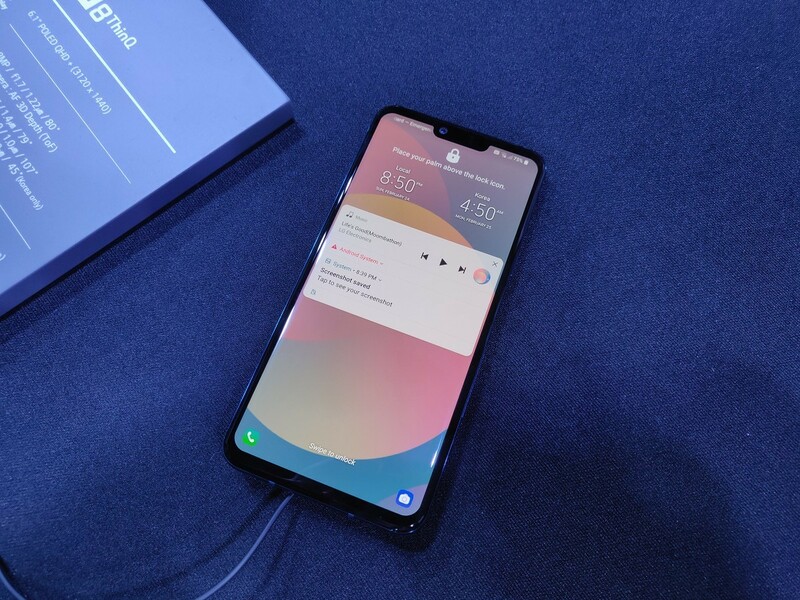 It has a Qualcomm Snapdragon 855, 6GB of RAM, and a 1440p AMOLED display, so it’s hard to go wrong here. The room we got to actually use the device in wasn’t great for lighting and made it hard to tell the exact quality of the display. It seemed good quality in that there wasn’t any color shift apparent, but that could have simply been a result of the blue lighting hiding it. The display is a 1440p LG AMOLED display and it looks crisp. The LG G8 ThinQ comes in 7 variants, with one of them having a dual camera setup instead of a tri-camera. There are also multiple storage and RAM variants along with some regional versions as well. They showed us the 6GB of RAM, 128GB of storage, and tri-camera option, but the demonstrator himself had the dual camera device. LG’s pricing is usually something to gawk at, so it could possibly be that they price themselves out of the market on this device. It’s clear that they want to focus on market share rather than releasing more phones, which may explain the gimmicks. Whether you like them or not, gimmicks can sometimes sell and may help LG to gain a larger foothold in the market. But is the LG G8 ThinQ worth your money? From my initial hands-on, it’ll depend entirely on the actual cost of the device. As I’ve already mentioned, it’s a decent flagship. It’s certainly not a head turner, and other phones will do lots of things better. The gestures have potential, but not enough that it could sway someone to buy it. The only saving grace is that the 3D time of flight sensor can eventually be used for other things as well, not just for gestures. 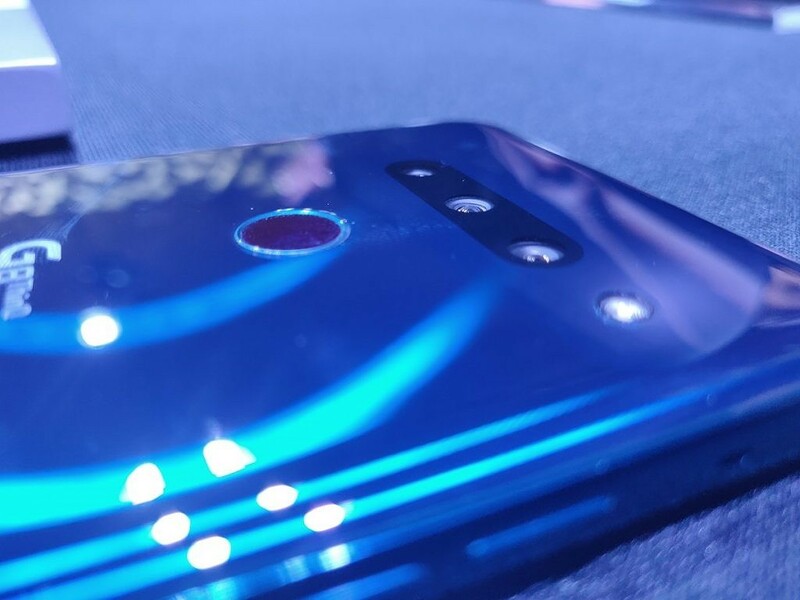 Honor uses it effectively for Augmented Reality, and we’re sure that LG could implement something similar as well in the future. For now, I’m skeptical about the LG G8 ThinQ. It’ll all come down to pricing, and LG has been notoriously bad at it in the past.